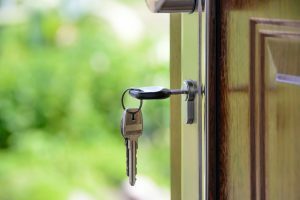 You’re ready to buy a home, now what? Call a realtor and start looking, right? Wrong. Buying a home does not begin by looking for the home or even calling a realtor. There are several steps you need to take first. Otherwise, you risk finding your dream home and being frustrated when you are not actually ready to buy it. If you know you want to buy a home, start working on improving your credit. Put an embargo on opening any more credit cards or taking on any additional debt. Now is the time to pay off credit card balances and bring bills current to reduce your debt to income ratio. Get a complete credit report and see what is on it. Check for unpaid bills and debts that are still listed on the report by mistake. Ideally, you want your credit score to come in at 660 or higher. The lower your credit score, the more you will pay in fees or interest rates and the larger the down payment you will need to qualify for a mortgage. The very best deal on a home mortgage goes to those with credit scores of 750 or higher. But if you score between 700 and 720, you will still qualify for a good rate. A general rule of thumb for buying a home is that the monthly payment should not exceed 28 percent of your monthly, pretax income. Keep in mind that figure should include the cost of homeowner’s insurance and any HOA fees. Several websites have mortgage calculators. These can give you a rough idea of what size mortgage you can afford. This mortgage calculator allows you to punch in your down payment size, cost of homeowner’s insurance and the interest rate. Play around with the numbers to learn how much you can spend to buy a house. If you haven’t started already, start saving your money: for a down payment and your closing costs. Obviously, the more you can put down on a house, the smaller your mortgage loan and the lower your monthly payment. The traditional down payment is 20-percent. The benefit to putting that much down when you buy a home is that it removes the requirement of paying for private mortgage insurance each month. The money saved here, leaves you more to spend on your house. Here is a savings calculator to help you figure out how much you need to put away and for how long. Other options to help increase saving, would be investing some of your money in stocks. Of course, there is some risk to doing so, but returns on your investment can help build your savings faster. If 20-percent down is just not going to happen before you are ready for a retirement home, there are programs to help, such as FHA loans. An FHA loan is a government backed mortgage insured by the Federal Housing Administration. These loans help homebuyers qualify for a mortgage with as a little as 3.5 percent down. The catch is that FHA borrowers must pay for mortgage insurance, so the lender is protected if you default on the loans. This program, designed for first time home-buyers, puts homeownership within an easier grasp. Also, FHA’s don’t require a celestially high credit score, however it must be at least 580. Getting prequalified is not the same as getting pre-approved. To get prequalified to buy a home, you must talk to a mortgage professional. He or she will review your assets, income and expenses and give you an idea of what you can afford. This is not a guarantee that you will be approved for a mortgage of that size. But this process will give you information you need before you start writing offers and submit for pre-approval. The mortgage expert can explain what steps you need to take to put your best foot forward when you submit for pre-approval. This is the official ask. At this point in the process a mortgage broker is shopping around for your mortgage loan. Lenders will look at your credit reports, employment history and your income. Be prepared to submit your last two years’ tax returns and W-2s, thirty days of pay stubs, sixty days of bank account statements and a signed authorization to order your credit report. You will either receive a pre-approval letter or a list of conditions that need to be met for full approval. Once you have your pre-approval letter, the fun part begins! Call the realtor and start looking for your new house. The approval letter will outline what loan programs you qualify for, the maximum amount you can borrow and at what interest rate. Being pre-approved for a home mortgage makes you much more attractive to home sellers and a competitive buyer in a hot housing market. Looking for a home, before taking these steps, will make it very difficult to pounce when you find the right property. One final, note, pre-approval does not guarantee you will qualify for a loan. Nothing is assured. Once you make an offer on a home, your loan representative will submit your application to an underwiter. The underwriter will look at all the documentation, income verification, credit reports along with the property you want to purchase. At that point, the underwriter will either approve the loan, approve the loan as long as certain conditions are met, put it on hold because more information is needed or deny it. It does happen, but this is where it pays to shop around, not just for a loan, but a better deal on a loan. The decision to buy a home is exciting and huge and all those good things, but the process goes much smoother if you put all these pieces in place, before you call a realtor and start house hunting. Whether you are buying your first home or your third, at Landmark Tile Assurance Agency we have the expertise to handle even the most complicated residential and commercial real estate transactions. For more information, visit our website or call (602)748-2800.